Jim Moxon joined the academy in the summer of 2016 and is the academy doctor. He graduated from Sheffield University in 2004. A lifelong sporting fanatic, he gained a diploma in Sports and Exercise Medicine from Bath University in 2012. Jim began working in professional football in 2008 at Sheffield Wednesday, where he was involved in covering the academy team and development squads. In 2011, Jim joined Chesterfield FC and was responsible for the care of the first team. In 2012, he was part of the medical team at the aquatic centre during the London Olympics. 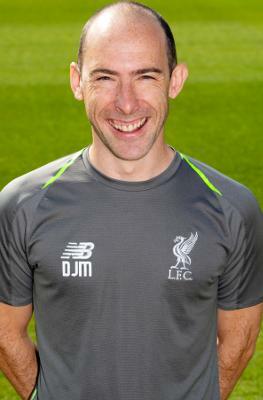 He was appointed as chief medical officer at Sheffield United in 2013 and was responsible for first team and academy medical care until leaving to join Liverpool in 2016. Jim has extensive experience of the medical demands of rugby league and has worked for Hull Kingston Rovers for four seasons. He is currently undertaking a Masters degree in Ultrasound at Bournemouth University. In his spare time, Jim runs, climbs and cycles, having completed the Lands End to John O’ Groats bike ride in 2011. He enjoys triathlons, half marathons and reading sports biographies.